Mr. Oscar Diaz, Jr. received a Bachelor's of Music and Foreign Languages from the University of Texas at Arlington and also completed graduate courses at Florida Atlantic University. Mr. Diaz, Jr. has performed professionally for twelve years with the Florida Grand Opera, the Dallas Opera, and the Fort Worth Opera. He has been featured as a soloist in leading roles with the Arlington Opera and Coral Gables Opera. 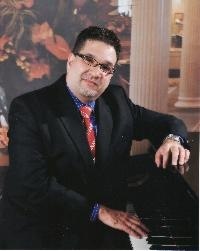 As an instructor of voice Mr. Diaz, Jr. has built a reputation for achieving the highest musical standards possible in each of his students. Present and past students have also performed leading roles with opera companies in the United States and abroad. Mr. Diaz, Jr. is also well known for his successful work with the guidance of young voices and for the success rate of his students' acceptance into leading conservatories. These include such notable schools of music as the Manhattan School of Music, Indiana University, Cleveland Institute of Music, and New England Conservatory amongst others. Mr. Diaz, Jr. is professionally affiliated with NATS (and was a South Florida chapter past president), NGPT, American College of Musicians, New World School,Florida Opera, and MTNA. Mr. Diaz, Jr.'s accomplishments have also been listed in WHO'S WHO IN AMERICA and WHO'S WHO IN THE WORLD.